I thought the applicants aren’t supposed to “know” of their references getting any emails or calls? Would we shot outselfs in the foot by sending an email? Everyone's situation is different... My own personal experience, my boss told me I wasn't supposed to know. I don't know what the email to him said and I don't care.... My references are done. If you are concerned about sending an email.... Then let them contact you in 2-3 weeks to tell you they never received a package from one of your references as they did with me.. That's what happened to me and it slowed my process by about a month. They are professionals and understanding people. I don't think it would be wrong to say that one of your references disclosed they received a reference package but your second didn't get it. That way, you can confirm the email address you put down during your interview. There is no issue with contacting recruiting and confirming contact details regarding all of your references. I have medical for late April, I'm kinda hoping that there's more I could do while I wait for it.. to speed up the process. They said Kingston in 4-6 months, which lines up for June and August respectively. Everything else went by really fast so maybe it's just one of those things. I passed CTP1 a week before deadline so I am very happy with myself thus far. If you are attending CTP3 in Kingston from April 9 to July 10, would you like to share a taxi? Let me know! Sorry for the late reply. I was going to take your advice and call them this week, but the references got the emails/calls already! EDIT: Hey guys, I just received my Pre-Employment health assessment and Fingerprinting request. I was searching the this thread but couldn't find anything. Is there a associated fee for the fingerprinting? I will be doing mine through Commissioners. I am, i’ll message you with my contact info! $50 - $60... Can't remember the exact amount. Congrats! I finished up the last of my requirements last week so hopefully I'm there with you! “Working on the Edge.” It’s a an important video to watch. Well that was extremely eye opening. I know someone in CSC and he's advised me about some of the difficult situations I could be potentially exposed to. He doesn't tell me them to deter me from the position as he's said a few times I would be good as a CX.. But if someone asked me "why do this?" I don't know if I could provide a decent answer. However, something in my heart and head is still telling me to push on, I still want to pursue this career and with everyone's posts, PM's, co-workers, other LEO's I've spoken to.. I would fully regret it if I didn't at least try... I totally know that you're also not trying to deter anyone, paccx.. PTSD is something not to be overlooked. In fact, I asked how the support system was on my interview with CSC.. 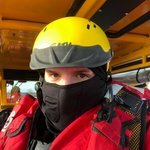 Doing SAR, I could be exposed to situations during a training scenario where we may get called to an actual crisis.. You can't really say no when you're in the middle of the ocean... We also have an excellent CISM support system that some used last year when we dealt with a particularly trying situation. Thank you very much for posting that paccx. Hat goes off to all CSC officers who keep us safe! Great work sharing this. Some folks have no idea. And as an OJT instructor, I cannot emphasize enough to the new recruits that think they're invincible, at 21 years old and a police foundations diploma; how much can happen in a split second. I know all too well how those officers in the video feel. The real kicker is the stuff that is showcased in that video has been tamed down substantially from what it really was like in those situations and what it really can be like. You couldnt show people what some of us have actually seen. Well you could, but it would be on the dark web.